It’s at zero bids, but it would make a great stocking stuffer for, well, nobody. It’s just interesting to know that these things still exist, or at least one of them. 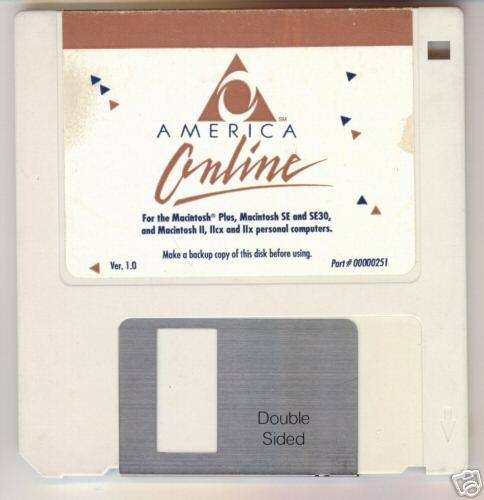 It’s an AOL 1.0 floppy disk, and it’s on eBay, and it’s going for just under a grand now. Or you could “buy it now” for $5k. You know, if you’re into that kind of thing. Maybe some others will want this, but me, I’ll take Kournikova’s AIM screen name, Santa.